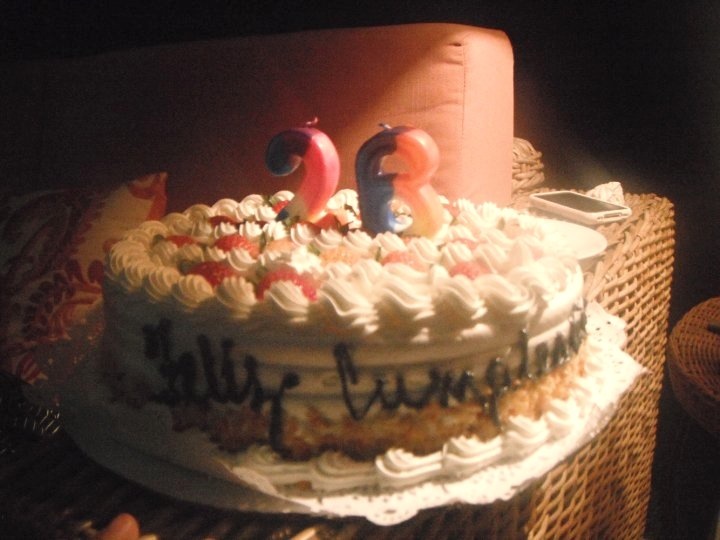 I miss you delicious strawberry birthday cake. It was my 26th birthday on Thursday! I went on epic adventures that I was so psyched about they went largely undocumented (LIVE in the MOMENT maaan). But it was definitely one of the best birthdays ever. Man, 26. I'm such an ADULT now. My friend Ryan left me this video on my Facebook as a birthday present. It's kinda too awesome for words so I'm sharing it with you. That's Elastica playing at Fashionably Loud for an Anna Sui fashion show where Debbie Harry is one of the models. p.s. that was back when mtv was still cool. RIP MTV. Congratulations. Every stage in life has its appeal and you seem to be savoring this one. Happy Birthday, maaann! I hope 2010 just keeps getting better and better for you!